Northern Norway (Bokmål: Nord-Norge, Urban East Norwegian: [²nuːrˌnɔrɡə], Nynorsk: Nord-Noreg; Northern Sami: Davvi-Norga) is a geographical region of Norway, consisting of the three northernmost counties Nordland, Troms and Finnmark, in total about 35% of the Norwegian mainland. Some of the largest towns in Northern Norway (from south to north) are Mo i Rana, Bodø, Narvik, Harstad, Tromsø and Alta. Northern Norway is often described as the land of the midnight sun and the land of the northern lights. Further north, halfway to the North Pole, is the Arctic archipelago of Svalbard, traditionally not regarded as part of Northern Norway. The region is multi-cultural, housing not just Norwegians but also the indigenous Sami people, Norwegian Finns (known as Kvens, distinct from the "Forest Finns" of Southern Norway) and Russian populations (mostly in Kirkenes). The Norwegian language dominates in most of the area; Sami speakers are mainly found inland and in some of the fjord areas of Nordland, Troms and particularly Finnmark – though ethnic Sámi who do not speak the language are found more or less everywhere in the region. Finnish is spoken in only a few communities in the east of Finnmark. Northern Norway covers about a third of Norway. The southernmost part, roughly the part south of the Arctic Circle, is called Helgeland. Here there is a multitude of islands and skerries on the outside of the coastal range, some flat, some with impressive shapes, like Mount Torghatten, which has a hole through it, and the Seven Sisters near Sandnessjøen. The inland is covered with dense spruce forests and mountains near the Swedish border; some of the biggest rivers in the region are the Vefsna and the Ranelva. The highest mountain in Northern Norway is found here in the Okstindan range south of Mo i Rana with Oksskolten reaching 1,915 metres (6,283 ft) above sea level, and with the glacier Okstindbreen. The Saltfjellet range, with its Svartisen glacier and intersecting Arctic Circle, divides Helgeland from the next region, called Salten. Notable peaks in Salten are the Børvasstindan south of Bodø, Suliskongen near Fauske (1,907 metres or 6,257 feet, highest mountain north of the Arctic Circle), the Steigartindan and the phallic Hamarøytinden. Between Saltfjellet and eastern Finnmark, Norway spruce trees have originally been planted and are mostly privately owned. The older plantations are now producing lumber, 80 years after planted. Lofoten is a chain of peaks that jut out of the ocean. From the mainland side it looks very barren, but behind the violet-black peaks there are also flatlands with good grazing for sheep, partially on soil made from seaweed. The Vesterålen islands consist of smaller and bigger islands with a huge variation in landscape. Ofoten, further inland, is a fjord landscape with high mountains, the highest is Storsteinfjellet in Narvik, 1,894 m above sea level, but the most well-known is Stetind, the national mountain of Norway. There are also glaciers, like Frostisen and Blåisen. National parks in Northern Norway. Lomsdal-Visten National Park was established May 2009 (no 30). Børgefjell National Park is shared with Nord-Trøndelag and does not show up on map. Troms county has surprising greenery for the latitude, and the inner waterways and fjords are lined with birch forests, and further inland there are extensive pine forests and highlands around the rivers Målselva and Reisaelva. Big islands like Senja, Kvaløya and Ringvassøya have green, forested interiors and a barren, mountainous coastline, with smaller islands offshore. The Lyngen Alps are the highest mountains of the area, rising to 1,833 metres (6,014 ft), an area of glaciers and waterfalls. The 269 metres (883 ft) Mollisfossen waterfall in Nordreisa is the highest waterfall in the north, while Målselvfossen is Norway's national waterfall. The many fjords vary in size and topography. The bedrock and soil in the surrounding land also varies. Eidsfjorden in Sortland, Vesterålen. Finnmark county has fjords and glaciers in the far southwest, and the northwestern coasts are characterized by big islands, like Sørøya and Seiland. The inland is covered by Finnmarksvidda, a relatively barren plateau about 300 to 400 metres (980 to 1,310 ft) high, with many lakes and rivers like Alta-Kautokeino and Tana/Deatnu. Even at this latitude, pine forests grow naturally in lowland areas inland. East of Honningsvåg, there are no islands protecting the barren coasts that rise directly up from the sea. The landscape towards the Russian border is comparatively flat. Knivskjellodden on the island of Magerøya marks the northern end of Europe; tourism is directed to the much more accessible (and dramatic) North Cape, whereas Kinnarodden on the Nordkinn Peninsula is the northernmost point of Europe's mainland. Finnmark is situated north of northernmost Finland, and to the east Norway has a 196 kilometres (122 mi) border with Russia. The oldest known historical culture in the region is called Komsa, named after a mountain in Alta. The first people possibly arrived around 12–13,000 years ago, but it is uncertain whether they came from southern Norway or from the Kola Peninsula. Today the rock carvings at Hjemmeluft in Alta or at Leknes in Nordland are among the remainders of the Stone Age cultures, showing reindeer swimming across the fjords. A significant find area is between the river Tana and the fjord of Varanger, where the reindeer probably ran over the isthmus on the way between the winter and summer grazing. The question of the ethnic identity of the Stone Age cultures is politically charged, as many Sami feel the uncertainty surrounding the earliest settlers in Northern Norway is being used to question their status as an indigenous people. Metals were introduced around 500 BC. The Sami culture can be traced back at least 2,000 years. There is also some archeological evidence of Bronze Age agricultural settlements about 2,500 years old, as in Steigen and Sømna. In 2009, archeologist discovered evidence of barley grown in Kvæfjord near Harstad in the Bronze Age 1000 BC. A larger settlement by people of Germanic origin, with substantial archeological evidence, seem to have occurred around 200–300 AD. These settled along the coasts roughly up to Tromsø. The two ethnic groups traded with each other, and there seems to have been quite a lot of intermarriage. The nature of the co-existence is still being hotly debated. In the Viking age, several chieftains along the coast played a significant role in Norwegian history, usually resisting unification of Norway. The voyage and story of Ottar from Hålogaland was recorded by the king of England. 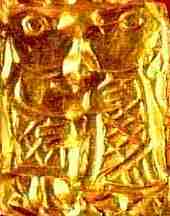 Hårek from Tjøtta and Tore Hund, who killed Saint Olav at the Battle of Stiklestad in 1030 were important leaders according to Heimskringla. The chieftain and poet Øyvind Skaldespiller was the first to receive international acclaim, as his poems were rewarded when the Icelandic parliament organized a money collection to buy him a thick ring of gold. This flourishing period of resistance was followed by consolidation and centralization of the Norwegian state, which was (and is) dominated by southerners (in the relative sense of south of Northern Norway), reducing the power and wealth of the Northern Norwegian chieftains. Gullgubber from the Iron age, the oldest Toreutics in Northern Europe; this one found in Kongsvik, Tjeldsund, Nordland. In the Middle Ages, churches and fortifications were built along the coast in an effort to stake a more firm claim for the kingdom of Norway along what was then the frontier of Norwegian settlement. By 1150, Lenvik Church was the northernmost church in Norway. In 1252 the first church, the Ecclesia Sanctae Mariae de Trums juxta paganos ("The Church of Saint Mary in Troms near the Heathens"), was built in Tromsø, along with a small rampart intended to serve as protection against Karelian raids. This was followed in 1307 by the consecration of Vardø Church in what is now eastern Finnmark. Finally, Vardøhus Fortress was constructed to mark and defend the border with the Karelian tributary lands of the Novgorod Republic. The traditional view has been that the fortress and church were constructed at roughly the same time, although recent research indicates that the fortress may have been constructed as late as the 1330s, after the border between Norway and Novgorod had become more fixed. At roughly the same time, the cod fishing gained momentum. Dried cod was exported through Bergen to the whole Hanseatic world, bringing prosperity to the north. This is reflected in the numerous pieces of imported church art from the late Middle Ages. There were numerous wars with the republic of Novgorod in Russia at the time, that stopped by the late 15th century. Reduced fish prices in the 17th century and the exploitative trade practices of merchants from Bergen, who had been granted a royal monopoly on fish trading, led to a significant decline in the population and grinding poverty for those who remained. Large coastal areas were depopulated, and Sami culture made a comeback, as it was less dependent on fish exports. After 1700, Russian Pomors started to come every summer on trading expeditions, bringing rye in exchange for fish. Although this was in violation of Bergen's trade monopoly and the Danish-Norwegian monarchy made some attempts to curtail the Pomor trade, the trade was vital to the survival of many Northern Norwegian fishing communities. In the 1740s the first settlers started arriving in Northern Norway from Finland. The traditional view is that these were refugees escaping famine and warfare at home, although modern scholars have pointed out that many were simply looking for their own piece of land, which was getting scarce in Finland as a result of rapid population growth. In 1789, the trade monopoly of the city of Bergen was lifted, Hammerfest and Vardø were issued their city charters, and Tromsø followed suit in 1794. Interrupted by the British blockade of the Napoleonic wars, this introduced a period of unprecedented growth in the north as the trade monopoly had previously made cities nonviable in Northern Norway. 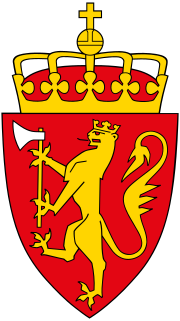 Bodø was founded in 1816, and Vadsø in 1833. The Hurtigruten shipping line, introduced in 1893, gave quicker communications with the south. In 1906, the iron mines in Kirkenes opened. Cod fisheries have for more than 1,000 years been of great economic importance to the region. From Svolvær harbour by Gunnar Berg. At the same time, the ethnic diversity of the area came under threat. Particularly after Norwegian independence (from Sweden) in 1905, the Norwegian authorities were insistent that all should speak Norwegian only and schools became active tools of assimilation. The Sami language was banned in schools, churches and in public administration. Concerns about possible Finnish irredentism also led to increasing pressure on Kvens to assimilate. People who wanted to buy state-owned land in Finnmark had to prove they could speak Norwegian before they were allowed to settle. This region of Norway was the area most affected by World War II. In 1940, Norwegian and Allied forces fought the Germans to a standstill over the strategic port for iron exports of Narvik, until allied forces and equipment were withdrawn, leaving the remaining Norwegians with no option but surrender. King Haakon VII and the government fled towards the north, and stayed in the Tromsø area for three weeks. On 27 May, Bodø was bombed by German planes, and on 7 June, the Allies retreated from the North, and the King and government fled to Britain from Tromsø. In 1944, the German Wehrmacht started to retreat from the Murmansk front. They burned everything after them in the area between the Russian border and the Lyngen fjord, as part of their tactics. The population was forcibly evacuated, although a third of them chose to hide in the wilderness instead. All who were found were shot. Bodø was an important air base during the Cold War. In more recent years, Norwegian F-16s have deployed to Balkans and Afghanistan. After World War II, Norway made a huge effort to rebuild the destroyed towns and villages. Modernizing fishing and agriculture was important, as Northern Norway was considerably poorer and less developed than the south. In 1946, the huge steel works of Mo i Rana were founded, heralding industrialization of the north. Transportation was also improved, as airports were built throughout the area, notably in Bodø in 1952 and Tromsø in 1964. The rail network was extended to reach Bodø in 1961. In 1972, the University of Tromsø opened, accompanied by a number of university colleges, notably in Bodø, Alta, Harstad and Narvik. In 1972 and 1994, the strong anti-EU movements of the north, largely based on concerns over EU (mis)management of its own fish stocks, were instrumental when Norway voted against EU membership in referendums. Samediggi – the Sami Parliament in Karasjok. Sami language instruction was introduced in schools in the 1970s. In 1979, the building of a hydro-electric dam in Alta caused huge demonstrations, giving the Sami question national attention for virtually the first time. The result was a significant effort by the authorities to promote Sami language and culture. In 1989, the Norwegian Sami parliament, Samediggi, opened, and the Law of Finnmark of 2005 was an attempt to deal with the question of land rights. A similar law is on the way for Nordland and Troms. Working against all this, emigration to the south has been strong after World War II. While there is a slight overall population growth in Northern Norway (as a result of surplus childbirths and immigration from abroad), this is significantly lower than in southern counties, although the regional centres of Bodø, Tromsø and Alta continue to grow at a relatively brisk pace. Lately, the off-shore gas field of Snøhvit, off Hammerfest, has brought hopes of new development in the north. Treriksrøysa where Norway, Sweden and Finland meet each other. Russian immigration and travel to Kirkenes has prompted the need for street names in Russian. The Northern Norwegian dialects share a common, musical intonation, different from the southern dialects of Norway. Apart from this, there is great variation in sound system, grammar and vocabulary. In general, one can say that the southernmost of the northern dialects, particularly in Helgeland and Salten, are the most distinct. Notably they cut grammar endings (like French relative to Italian)[clarification needed]. In areas of Finnmark, the dialects are somewhat more in line with standard written Norwegian (Bokmål, Nynorsk), particularly in those areas where Norwegian was primarily introduced by the school system as part of the assimilation process during the 20th century. In some inland valleys in the county of Troms, settlers from the inland of Southern Norway immigrated 200 years ago. Even today, these dialects have southern characteristics in intonation and vocabulary. Earlier, northern dialects had a low status in Norway, but recently they have been used extensively in song lyrics, poetry, in TV and radio. Today, anyone can use their dialects. This is not to suggest that no prejudices remain, however. Sami is spoken in three main dialects (or languages, depending on the definition): Southern Sami south of the Arctic Circle, Lule Sami mainly between Bodø and Narvik, and Northern Sami in the rest. Originally, Pite Sami and Ume Sami was spoken around Bodø, but these dialects are now extinct on the Norwegian side of the border. Eastern Sami was originally spoken in Neiden, close to Kirkenes, but it is more or less extinct. Overall, Northern Sami is by far the healthiest of the Sami languages today, primarily because it still has a relatively large number of first language speakers and maintains its dominance in core areas in Finnmark. Northern Sami is an official language (in addition to Norwegian) in the municipalities of Gáivuotna (Kåfjord), Kautokeino, Karasjok, Porsanger, Tana and Nesseby. The Finnish spoken in western regions, from Storfjord to Porsanger, is quite distinct, although comprehensible for people from Finland. Further east, around Vadsø and Kirkenes, the spoken Finnish resembles standard Finnish. People of Finnish descent in these eastern areas are also typically more likely to consider themselves as "Finnish Norwegians" rather than Kvens, arguing that the term Kven represents an attempt to cut them off from their Finnish roots. Finnish is official in addition to Sami and Norwegian in Porsanger municipality. It should be pointed out, however, that very few first language Finnish speakers remain in Northern Norway, and unlike Northern Sami, the Finnish language lacks a core region where it is still dominant in daily life. Coastal and fjord areas of Northern Norway have much in common with Western Norway, sometimes imagined in cultural terms as a shared "coastal identity". The topography and fjord landscape, the rich fisheries, the culture and even some aspects of the dialects (Vestnorsk) have clear similarities. Arctic char (pictured) is common in Northern Norway; the only part of Norway where they also feed in the sea. Trout is also very common in lakes and rivers. Reindeer at sunset near Bugøynes. Winter in Balsfjord, the northernmost municipality in Norway with fairly large agricultural activity. The Midnight sun seen from Steigen. Aurora Borealis seen from Salangen. There are large climatic differences from southwest to northeast in this region. Finnmarksvidda in the interior of Finnmark and some valleys in the interior of Troms, experience a more continental climate with much less precipitation and much colder winters compared to the long coastal region. There are extreme variations in daylight between winter and summer. At Nordkapp the midnight sun can be seen from 11 May to 31 July, and the sun does not rise above the horizon from 19 November to 22 January. For Tromsø, the dates are 17 May to 25 July, and 26 November to 15 January, respectively; and for Bodø from 30 May to 12 July (no polar night in Bodø). The mid-winter darkness is not totally dark on the mainland; there is twilight for about three hours around noon in Tromsø. Helgeland does not have true midnight sun, but the upper part of the sun disc never descends below the horizon as far south as Mosjøen in June. February is a transitional period when the sun rapidly returns, and March and April often feel like an explosion of light with long daylight hours and snow cover in most areas except the coastal strip of Nordland. The Aurora Borealis can be seen in the whole area from autumn to mid-April, after which it gets too bright to observe the Aurora. Source: Almanakk for Norge; University of Oslo, 2010. Note: In December and the first week of January, the very low sun in Bodø is blocked by mountains. In mid-July, the sun sets after midnight in Bodø due to daylight saving. In Tromsø, the sun is below the horizon until 15.January, but is blocked by mountains until 21. January. Nesna in the Helgeland district; the Nordland coast has a temperate climate much warmer than the interior highlands. Brønnøysund in the southern part of Nordland has January and February averages of −1 °C (30 °F) and −0.6 °C (30.9 °F), July & 24 August-hr averages are both 13 °C (55 °F), year average is 5.6 °C (42.1 °F) (about the same as in Oslo), and precipitation is 1,510 millimetres (59 in) per year, with autumn as the wettest season (). Brønnøysund experiences on average 63 days/year with strong breeze (22 knots) or more, and 18 of these days reach gale-force winds or more (34 knots, data from Leka just south of Brønnøysund, source met.no). In all areas, late autumn and winter is the most windy time of year, as the Atlantic low pressure systems are strongest then. Karasjok in the eastern part of Finnmarksvidda has January and February averages of −17 °C (1 °F) and −15 °C (5 °F), July & August averages are 13 °C (55 °F) and 11 °C (52 °F), year average is −2.4 °C (27.7 °F) and precipitation is only 366 mm/year (). Situated in a river valley, Karasjok only experiences on average 1 day/year with strong breeze (22 knots) or more, and virtually never sees gale-force winds. The mean annual temperature difference between Brønnøysund and Karasjok is 8 °C (13 °F), about the same as the difference between Brønnøysund and Madrid, Spain (). The comparatively mild maritime climate dominates along the coast and in the large fjords, even at the most northern coastal locations; in Nordkapp municipality the average January temperature is a modest −4 °C (25 °F) and the year average is 2 °C (36 °F) (). Some islands, like Træna and Røst, have average temperatures of approximately 1 °C (34 °F) in their coldest months. The warm climate in coastal areas, relative to other locations at the same latitude, is by many attributed to the relatively warm North Atlantic Current, an extension of the Gulf Stream. The most windy location in continental Norway (apart from mountain summits) is Fruholmen Lighthouse () in Måsøy not far from the North Cape. The most windy city in Northern Norway is Bodø with on average 153 days/year with strong breeze or more and 24 days with gale-force winds, while Vardø, also lacking shelter, sees 136 days of strong breeze or more and 18 days with gale. Inland valleys and sheltered fjord areas — particularly if sheltered by mountains — are much less windy. Tromsø, partly sheltered by large islands, experiences on average 27 days/year with strong breeze, and 1 day with gale, and Bardufoss sees on average only 11 days with strong breeze or more and scarcely ever experiences gale. In winter, there might sometimes blow cold winds from the freezing highlands out through the large fjords, −10 °C (14 °F) and strong breeze will feel very cold on the skin. Mild westerlies are still much more common in most winters. Weather patterns are inherently unpredictable in this northern region — both low pressure and high pressure weather can occur at any time of year, although the strongest winds occur in winter. Blåtindan in Målselv, inland Troms. February 2009. Tromsø street in March 2006. Snow cover persists for many months in most areas, this also insulates the ground from the cold. Along the coast of Nordland average temperatures hover barely below freezing for 2 – 3 months, statistically from 15 December to 27 February in Brønnøysund; somewhat longer into the fjords. Inland Finnmark, as in Karasjok, average temperatures remain below freezing for 7 months (October — April). In Tromsø, average temperatures stays below freezing for 5 months – statistically from 10 November to 10 April (based on 1961–90 average, more recent years have tended to be somewhat warmer). Even if winter temperatures depends largely on the distance to the sea, the length of the season varies mostly with latitude (and altitude): The summer (days/year with 24-hr average 10 °C (50 °F) or more) lasts on average 108 days in Brønnøysund, 90 in Bodø, 85 days in eastern Lofoten and Narvik, 75 days at the inland valleys of Bardufoss and Alta, about 65 days in Tromsø and Kirkenes, 50 in Hammerfest and 0 in Vardø. This is based on a 30-year average (1961–1990) for each day of the year; even Vardø will on occasions experience summer days. Statistically, summer temperatures starts 29 May in Brønnøysund and 22 June in Tromsø. The growing season varies from 180 days at Vega, Brønnøysund and Røst to less than 120 days in Finnmarksvidda and the Varanger Peninsula. Svartisen glacier is dependent on heavy snow in winter. The western side of the mountains get up to 2,000 millimetres (79 in) precipitation annually, such as Glomfjord. The main fjords remain ice-free all winter, but some sheltered fjord branches – like Ramfjord in Tromsø pictured here – freeze over in winter, allowing ice fishing. Precipitation occur in all seasons, usually as snow in winter, although often as rain on the Nordland coast. Snow accumulation in the mountains can exceed 3 metres (9.8 ft), and this abundance of snow is the reason for the numerous glaciers – more than 500, mostly in Nordland and Troms. Autumn tend to be the wettest season in most areas, often receiving more than twice as much precipitation as does spring and early summer. Only the interior areas of Finnmark – like Karasjok – tend to be wettest in summer. The areas with the least precipitation are some inland valleys, like Dividalen in Målselv with only 282 millimetres (11.1 in) precip/year, and upper Saltdal and Skibotn with about the same. Inland Finnmark is the only large area with less than 450 millimetres (18 in) precipitation/year. The wettest areas are generally the Helgeland region; Lurøy on the west coast of Saltfjell averages 2,900 millimetres (110 in)/year. The extreme northeastern coast, from Nordkapp to Vardø, is situated in the arctic climate zone due to lack of summer warmth — July average in Vardø is only 9 °C (48 °F). However, 150 kilometres (93 mi) to the south, in the Pasvik valley south of Kirkenes, 24 July-hr average is up to 14 °C (57 °F). No other parts of Norway experience such large differences in lowland summer temperatures in such a relatively short distance. The coldest temperature recorded is −51.4 °C (−60.5 °F) in Karasjok, and the warmest recorded is 34.3 °C (93.7 °F) in Sihcajavri in Kautokeino. Strandgata (street) in Harstad on a warm May day. There are settlements larger than Vardø which are not included in the list as they have not been granted or applied for township (such as Rognan, Løding, Andenes, Setermoen and Skjervøy). Hurtigruta in Raftsund near Trollfjord. Northern Norway, located at the very northern periphery of Europe, has seen great improvements in communications in recent decades. The road network connects virtually all villages and towns, the most important roads are the E6, E10, E8. Seven road sections in the region are National Tourist Routes in Norway due to their scenic surroundings, from Helgeland in the south to the Varanger Peninsula in the northeast, including two sections of the Norwegian County Road 17. Airports with long runways and direct flights to Oslo airport are located in Tromsø, Bodø, Evenes (near Harstad), Alta, Kirkenes and Bardufoss, and there are also directs flights connecting Brønnøysund and Sandnessjøen with Oslo. There are smaller airports with regional flights near most towns. For Bodø, Fauske, Mo i Rana and Mosjøen the Nordland Line provides railway connection south to Trondheim (and on to Oslo), while Narvik has railway connection east to Sweden (and on to Stockholm). The Hurtigruten calls at many ports in the region. Goods that are needed in northern Norway are generally freighted by train to Bodø or Narvik, and there reloaded to trucks. The freight trains from Oslo to Narvik has the majority of the amount. Export of fish and other products use the same trains in the reverse direction. The Northern Norwegian Cup was a football tournament played from 1929 to 1969. The Eliteserien, Norway's primary men's football league, will feature two Northern team in the upcoming 2019 season, FK Bodø/Glimt and Tromsø IL. In women's football, IK Grand Bodø and Medkila IL (from Harstad) will play in the 1. divisjon, the second tier of Norwegian football. In ice hockey, the Narvik IK plays in the second-tier Norwegian First Division. In basketball, the BLNO has featured the Tromsø Storm and Harstad Vikings. The Arctic Race of Norway is a cycling road race of the UCI Europe Tour held since 2013. The Tromsø Midnight Sun Marathon is a marathon race held under midnight sun. The European route E6 is the main road to the north; Storjord in Saltdal by the E6 is situated just north of the Arctic Circle. Mads Gilbert, professor of emergency medicine, from Tromsø. Trond Sollied (1959–), Football manager. Ranked as the ninth best manager in 2006. Hans Erik Dyvik Husby ("Hank Von Helvete") (1972–), Vocalist in the death-punk band Turbonegro. Harald "Dutte" Berg (1941–), football player. Morten Gamst Pedersen (1981–), football player, from Vadsø. ^ "http://www.nrk. – spruce timber from Bjerkvik, Narvik municipality". Nrk.no. 19 January 2011. ^ "Statistics Norway – Church of Norway". Statbank.ssb.no. Archived from the original on 2012-07-16. ^ "History could be rewritten". ^ "Grain cultivated in Lofoten 4,000 years ago". Lofoten.info. ^ "Grain cultivation in Northern Norway". Issuu.com. ^ "Boknafisk is made from stockfish". Boknafisk.com. ^ "Stockfish trade with Europe, Britain 1,100 years ago". Newscientist. ^ "Plankekjøring med hai" (in Norwegian Bokmål). Nordlys.no. 14 July 2011. ^ "sea gull eggs as food in Norway". Naturtips.no. ^ "Research: Does diet influence the taste of lamb meat". Cat.inist.fr. ^ Klaus Solbakken. "Lefse from Helgeland" (in Norwegian Bokmål). Ranablad.no. ^ "Forskning.no Rips (redcurrant in Norway". Skogoglandskap.no. 15 October 2009. ^ "Aperitif: A taste of Northern Norway" (in Norwegian). Aperitif.no. Archived from the original on 4 December 2010. Retrieved 31 January 2010. ^ Bjørbæk, G (2003). Norsk vær i 110 år (in Norwegian). N.W. DAMM & Sønn. ^ Moen, A (1998). Nasjonalatlas for Norge: Vegetasjon (in Norwegian). Hønefoss: Statens Kartverk. ^ Norwegian Meteorological Institute. "Met.no" (in Norwegian). Archived from the original on 8 February 2006. ^ Almanakk for Norge (in Norwegian). University of Oslo. 2010. ISBN 978-82-05-39473-5. ^ "Population of urban settlements". Ssb.no. 1 January 2008. Archived from the original on 31 December 2008. ^ "Sollied in European elite". Archived from the original on 4 October 2008. This page was last edited on 1 February 2019, at 17:37 (UTC).